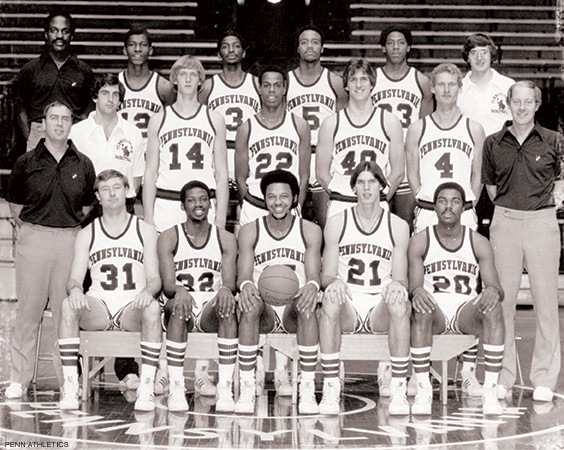 The resurrection of the Penn men’s basketball team by Coach Steve Donahue brings a greater appreciation of the 40th Anniversary of Penn’s Cinderella success in the 1979 annual NCAA Men’s Basketball Tournament, otherwise known as March Madness. It was 40 years ago that 9th seeded Penn, under second year coach Bob Weinhauer, won consecutive games against 8th seeded Iona under coach Jim Valvano, 1st seeded North Carolina under coach Dean Smith, 4th seeded Syracuse under coach Jim Boeheim, and then 10th seeded St. John’s under coach Lou Carnesecca, all legendary coaches. Penn had advanced to the Final Four to be played in Salt Lake City, Utah. As you can imagine, the campus was in a frenzy. 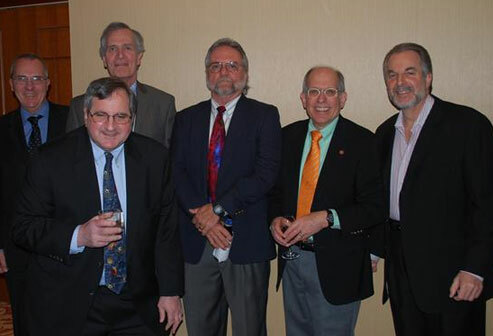 In the eye of this Final Four “hurricane”, one student stood out, Robert Oringer, Beta Pi ’79. Rob chronicled the excitement on campus through his photography, imagination, ingenuity, initiative, and entrepreneurship. In particular, he took candid photos of the student parade down Locust Walk toward an exuberant pep rally being held at Franklin Field. One of his photos can be found on the last page of the March/April edition of The Pennsylvania Gazette. 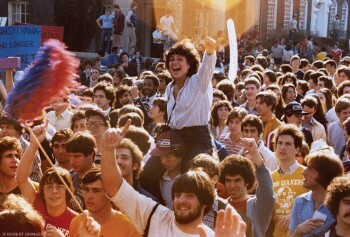 In the lower right-hand corner of the photo, a student can be seen wearing a T-shirt, bearing the phrase, “Show no pity in Salt Lake City”, designed by Rob and sold to the students on campus.